Desperate for coffee before an early flight out of Reagan National Airport on Sunday, I almost bought a cup at this place but decided against it on the basis of the poor punctuation and improper pluralizing. Panini is already plural, so it certainly shouldn't have an apostrophe and then an "s" after it. 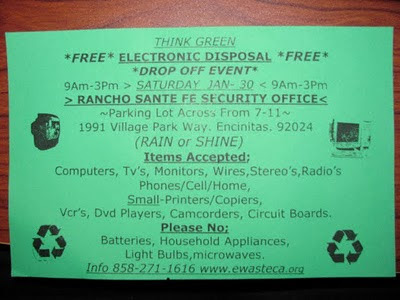 The subject of this entry is in honor of 95-year-old Abe, who lives with my grandfather at an assisted-living residence. He once complained to me that their dining hall uses fancy foreign words that he doesn't understand. 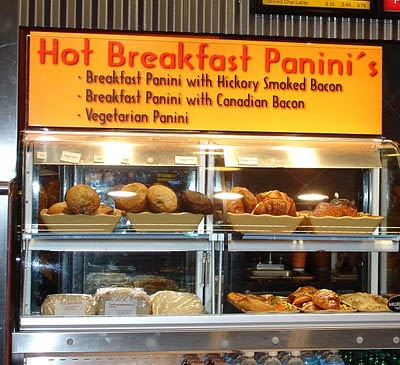 "Do you know what a panini is?" he asked me. "It's just a sandwich with stripes!" I felt bad that he was so annoyed, but it was adorable. Fain writes, "I found this masterpiece outside of a Glenn Beck rally at the University of Central Florida in Orlando." Well, clearly, psychosis stop's [sic] proper punctuation. 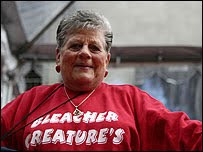 Lannie writes, "I am not sure what girl this lacrosse belongs to, but she wants people to sign up for it." Oddly enough, a coworker and I just had a long conversation about singular vs. plural possessives, and this submission was next in the queue. The QFC grocery store in Port Hadlock, Washington, is trying to encourage green living, but this sign is polluting the environment with an apostrophe catastrophe. 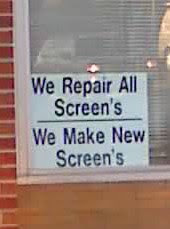 Besides the errant apostrophe in its, this sign should also have a period at the end of the sentence. 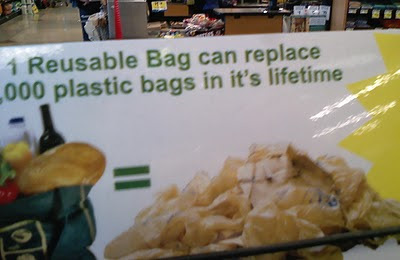 And reusable bag is not a proper noun, so what's with the capitalization? Thanks to Cathy for sending this one in. My friends and I have been on a euphemism bender lately. One of our favorites originated as a result of Tite's Tropical, a little convenience store in Cambridge. I once told someone that I had never gone to Tite's and he said, "You really need to explore your bodega." Much giggling ensued. So, you can imagine how excited I was when I discovered that Tite's features an apostrophe catastrophe on one of its signs. 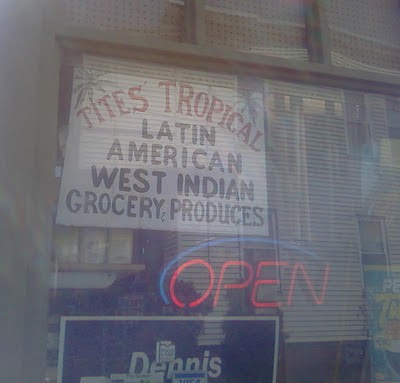 The man who owns the bodega is named Tite, so the apostrophe in the above sign is misplaced. Tite is a cool guy, though, and I really should patronize independent businesses more, especially because last night, my neighbor told me that one of the bodegas on the next street over from Tite's is run by "the sexiest man in the world." Now that calls for some exploration for sure. 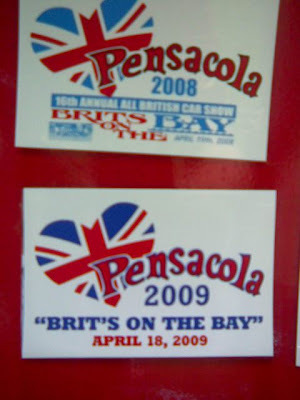 At least they were consistent! The main problem with the sign is that Lenten, an adjective referring to Lent, is spelled wrong. The apostrophe and the "s" are superfluous because Lent doesn't really own the specials, but it might not be technically a catastrophe. 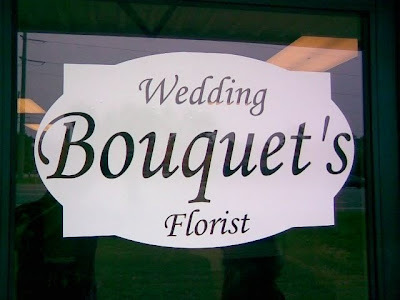 An apostrophe sin, perhaps? 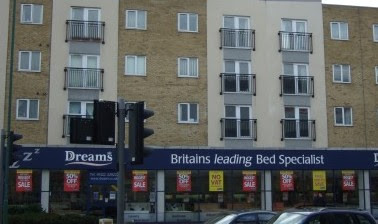 He writes, "'Dreams' may claim to be Britains [sic] leading Bed Specialist (strange mix of title- and non-title caps there! ), but they're clearly not Britain's leading experts on the use of apostrophes..."
At least they didn't write Dream's. Conor found this badly punctuated sign in his company's lounge while he was eating lunch. I hope the apostrophe catastrophe didn't completely ruin his meal. In my opinion, inconsistent punctuation is even worse than flat-out mistakes. Brenig sent in a photo with an inset (!) 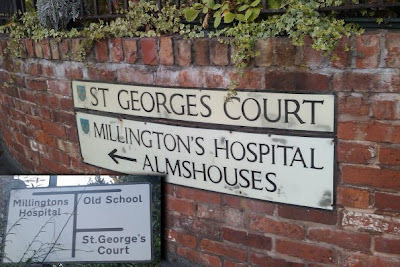 demonstrating some signage inconsistencies in Shrewsbury, England. See if you can spot all the differences. Just make up your mind one way or the other!